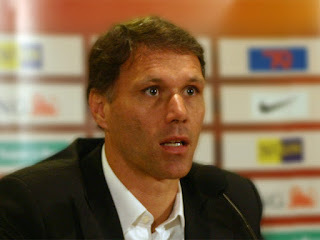 World Football Commentaries: Marco van Basten: "My reforms? I'd abolish offside and say yes to the shoot-out." Marco van Basten: "My reforms? I'd abolish offside and say yes to the shoot-out." Former Dutch international and AC Milan legend, Marco van Basten, compares his Milan side to the current one and discusses potential future reforms in the laws of football. 1. On comparing the Milan of the 1980s to the current one. 2. On Chinese investment at Milan and Internazionale. 3. On his proposed reforms to the game. 4. On his eight detailed proposals. Marco van Basten met recently with Francesco Ceniti of La Gazzetta dello Sport in an interview that was published on 18 January 2017 to discuss his new role as a consultant in the technology sector of FIFA. van Basten, who was personally appointed by FIFA President Gianni Infantino, has eight interesting ideas to make the game more exciting. The Dutchman's proposals might render traditionalists in world football uncomfortable. He was an atypical player during his career; consequently, his proposals should not be shocking to us. While many will not agree with van Basten's proposals, we should applaud his creativity to address problem areas in the game. Let's take a longer look at excerpts from his interview with Francesco Ceniti. For those of you who can legally make a punt/wager on Milan or your favorite team, please consider bonuscorner which is your source for sports betting bonuses. "Sa che cosa mi mette più tristezza? Vedere San Siro mezzo vuoto. Una cosa inconcepibile ai miei tempi. Era una bolgia contro il Napoli, ma pure se c’era l’Empoli. E le cose non vanno meglio negli altri stadi italiani, quasi tutti rimasti agli Anni 90. 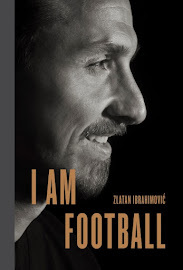 Al Milan mancano i grandi giocatori, ma pure una struttura moderna"
MVB: "Do you know what really makes me sad? To see the San Siro half empty. It would have been inconceivable in my days. It was a roaring crowd against Napoli but also even if it were versus Empoli. And things are not going better in the other Italian grounds. Almost all of them remain in the 1990s. Milan lacks top players but also a modern structure." "Non posso pensare ai cinesi padroni di Inter e Milan, due società così gloriose devono restare agli italiani. Non è solo una questione di fascino e storia, di Moratti o Berlusconi. C’è anche la passione: non ha prezzo. No, il Milan ai cinesi proprio non mi va giù". FC: The city of Milan expects the Chinese investment to bring them back to high levels. MVB: "I can't think of Chinese owners at Inter and Milan. Two such glorious clubs must remain in Italian hands. It's not only a question of allure and history, of Massimo Moratti, or Silvio Berlusconi. There's also the passion: That doesn't have a price. No, Milan to the Chinese really doesn't sit well with me at all." LE SUE RIFORME — "La moviola è utilissima per evitare gli errori chiari, ma io ho un'idea estrema: abolire il fuorigioco. Le gare sarebbero più spettacolari. Poi vorrei il giallo per chi discute con l'arbitro: lo possono fare solo i capitani. Per abolire il pari ai Mondiali introdurrei gli shoot out: 5 azioni con il giocatore che parte dai 25 metri e ha 8 secondi per fare gol. E poi aumentare il gioco effettivo"
MVB: "Video replay is very helpful to avoid clear errors but I have an extreme idea: Abolish the offside's law. The matches would be more spectacular. Then, I would like to see a yellow card for anyone who protests with the referee. Only captains should be able to do that. To get rid of draws at the World Cup, I would introduce shoot-outs: Five chances with a player who starts out 25 meters from the goal and he/she has eight seconds to try to score. And I'd also augment real-time play." No offside: "I am in favor of abolishing it. Football is always resembling a sport more like handball." Limited expulsions for red cards: "Only for a certain number of minutes." Shoot-outs instead of penalty kicks: "In case of a draw (AET), it would make everything more spectacular." Expulsion for a maximum number of fouls: "Just as in basketball where after a certain number of fouls, you are ejected." Real time in the last 10 minutes of a game: "It would avoid time wasting." Translator's Note: As opposed to the referee adding time after the 80th minute to extend the match even longer. Protests with the match official limited only to the captains of each team: "To avoid the current type of intimidating group protests." More substitutions without wasting time: "Add a pair of substitutions during extra time and speed up the process in normal changes." Fewer official games: "From 80 actual ones to 50 per year. It would make everything more spectacular."